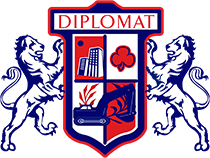 Diplomat’s goal is to recycle all demolition materials, providing value to both our clients and the community. We have respect for the environment and the world at large. We recognize the importance of recycling construction waste materials, and want to help society meet the ecological goals of the future by setting an example for others to follow. Diplomat is an expert on LEED requirements – a nationwide program that is common on most modern jobsites. This program encourages the use of recycled material in new construction, as well as the documented disposal of materials leaving the jobsite.